Water damage at this Amherst home was the result of a ruptured water line within the pictured wall. SERVPRO of Hampshire County is available 24/7 to respond to emergencies like this. This project would require partial demolition of the wall involved in order to find and repair the source of the water leak. The partial demolition would also allow for air movers and dehumidifiers to work on drying the wall cavity. 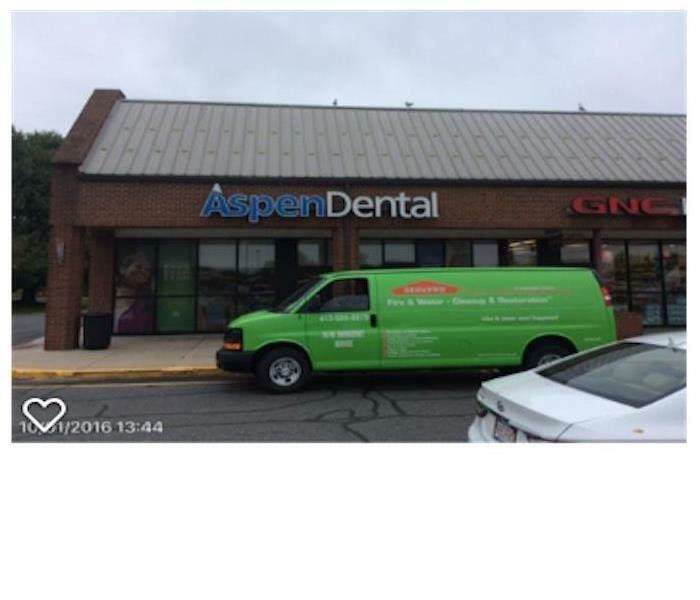 Water damage at Aspen Dental required the services of a professional water restoration company. Aspen Dental needed quick and first class service. 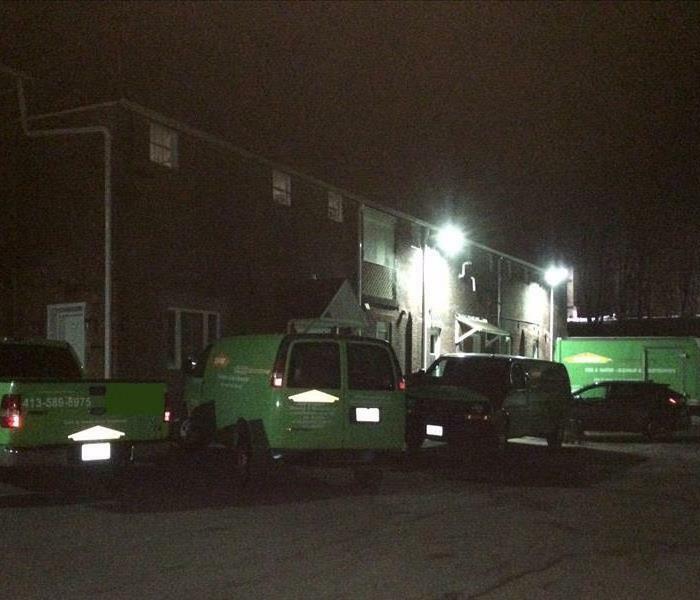 SERVPRO of Hampshire County stands ready 24/7 to respond to our client's disasters regardless of size. Our industry certified technicians provided the service that was required to get Aspen Dental back in business quickly. We are here to help you with your storm damage emergency. You can count on our team to be ready 24/7 and Faster to Any Size Disaster. 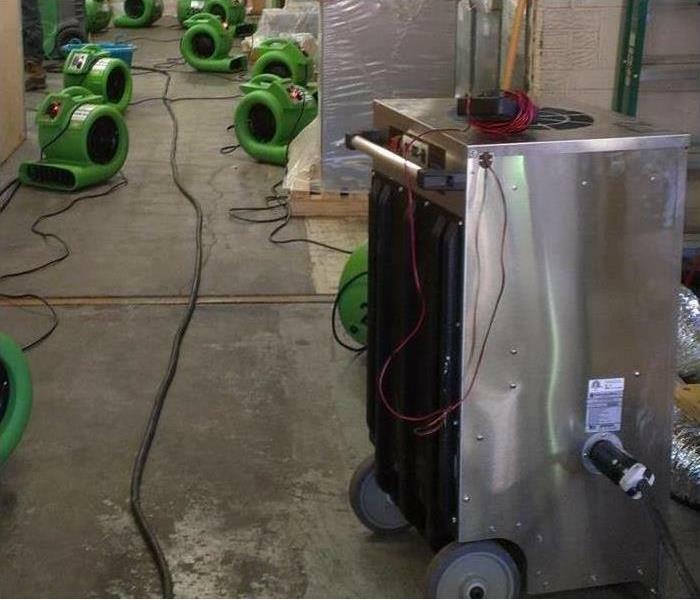 SERVPRO of Hampshire County has the equipment, training, and experience to restore your home to pre-damage condition. Fire damage at this Northampton home started in the attic. An electrical short was the cause. This view from the kitchen shows where the firefighters broke through the kitchen ceiling to extinguish the fire. SERVPRO of Hampshire County trained and industry certified technicians could remove all of the damaged materials, dry the attic and take care of the smoke stains and odors. 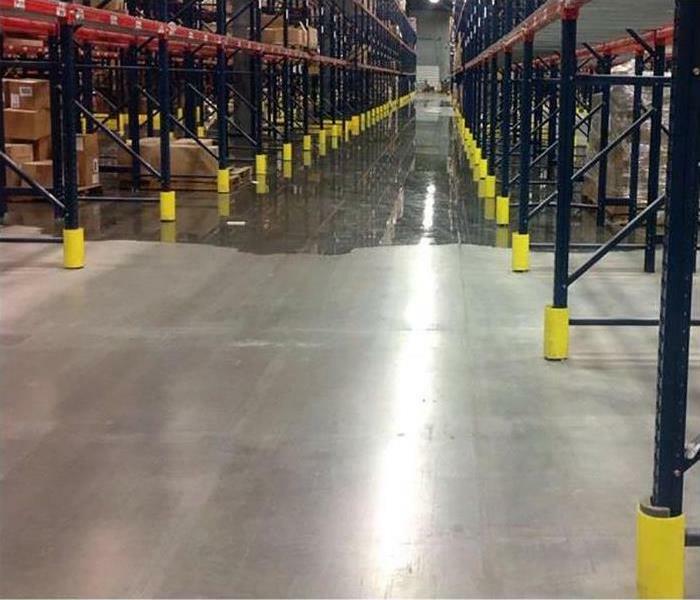 When water damages your warehouse the only team to trust is SERVPRO. Our team of trained technicians can tackle any size disaster quickly and efficiently. SERVPRO of Hampshire County has the equipment, certified personnel, and experience needed to repair and restore your commercial property. SERVPRO is Faster to Any Size Disaster! As a trusted leader in the water restoration industry, you can depend on our team for exceptional service. Our highly trained water restoration professionals use state-of-the-art water inspection, extraction, and drying equipment to restore your property to pre-damage condition. 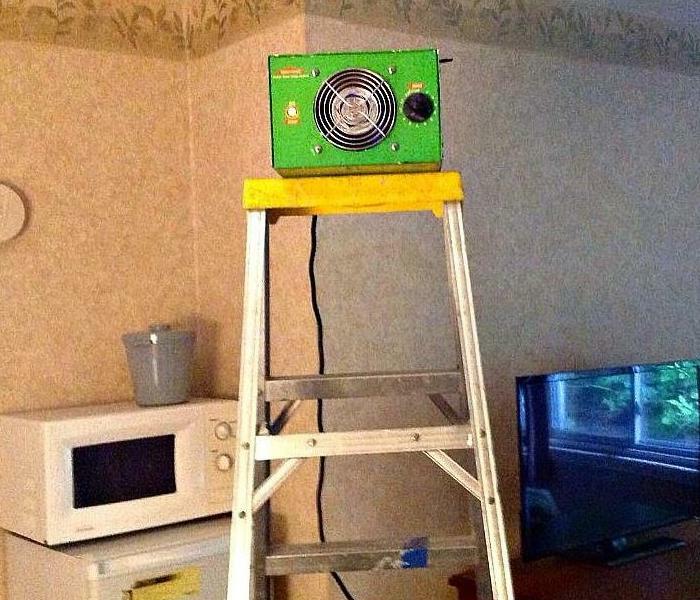 At SERVPRO, We’re Faster to Any Size Disaster! 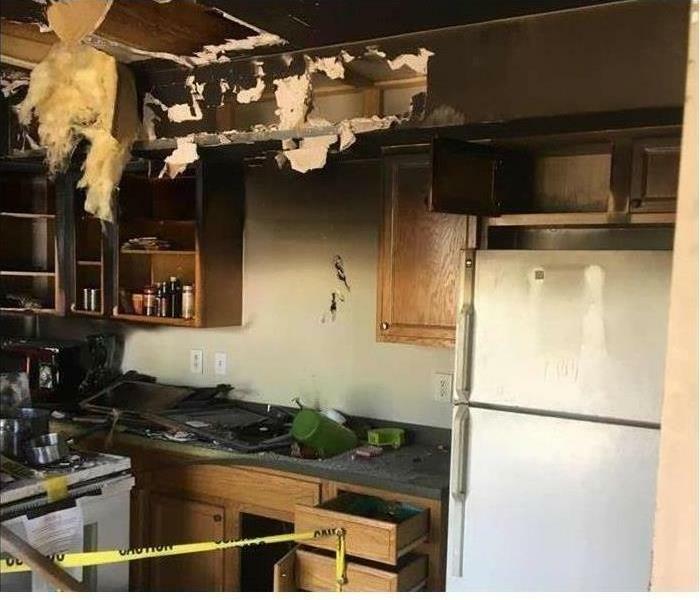 Fire damage in this Phoenix kitchen began on the stovetop. The charred and smoke damaged hood and cabinetry are typical of this type of fire. SERVPRO of Hampshire County has the products and procedures to remediate these types of fire damage situations. 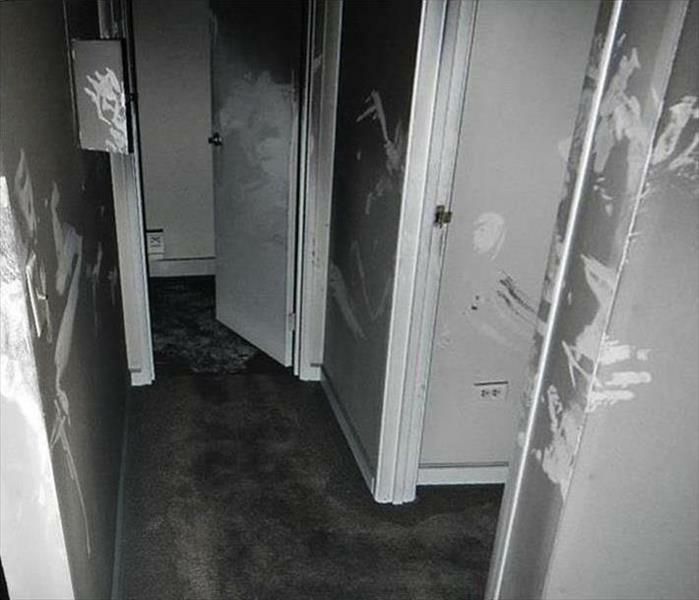 The "soot tags" in this photo are not cobwebs but the result of oily smoke that has contacted a cold surface. The PUFFBACK mess requires professional cleaning to minimize smearing. SERVPRO suggests that local homeowners with oil-based boilers, furnaces or water heaters have then inspected annually before firing them up for the cold winter months. Protect the safety of your family and your property while enjoying a toasty indoor evening in Pittsfield. Remember to call SERVPRO if an incident does occur for professional grade results making you feel "Like it never even happened." SERVPRO advises all our neighbors with oil-fueled heating devices to have each furnace, boiler, or water heater inspected and serviced for top winter-time performance. The "soot tags" shown resulted from a furnace explosion that caused a dirty, sooty PUFFBACK not only here, but throughout several rooms of the Pittsfield home via the ductwork. 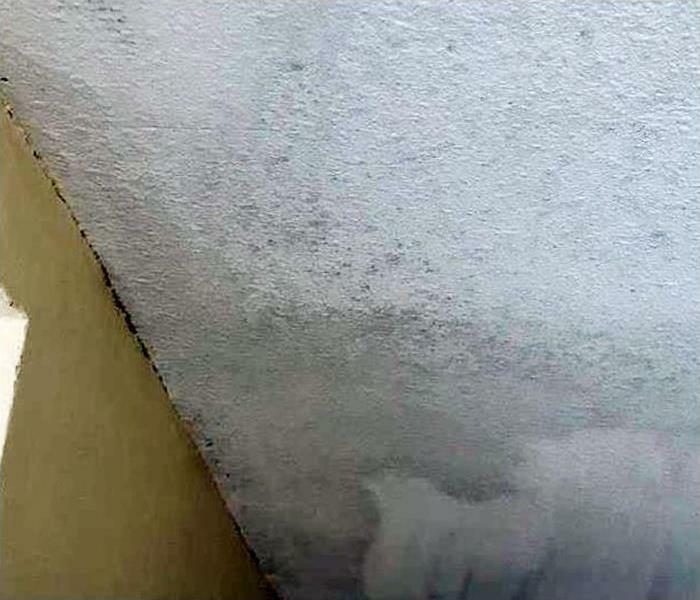 SERVPRO can clean the oily residue, but typically minor or major demolition may be needed to remove non-salvageable porous building materials like drywall. 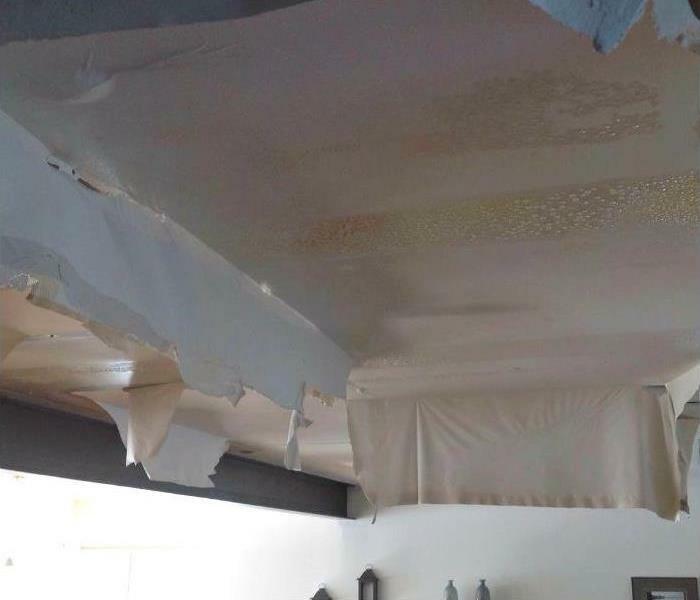 We have the professional crew to mitigate these smoke-like damages while reducing your costs and working with you and your insurance adjuster to hopefully reach a fair settlement. Damp basements, lacking proper ventilation, often lead to large mold problems as shown in this Grandy property. 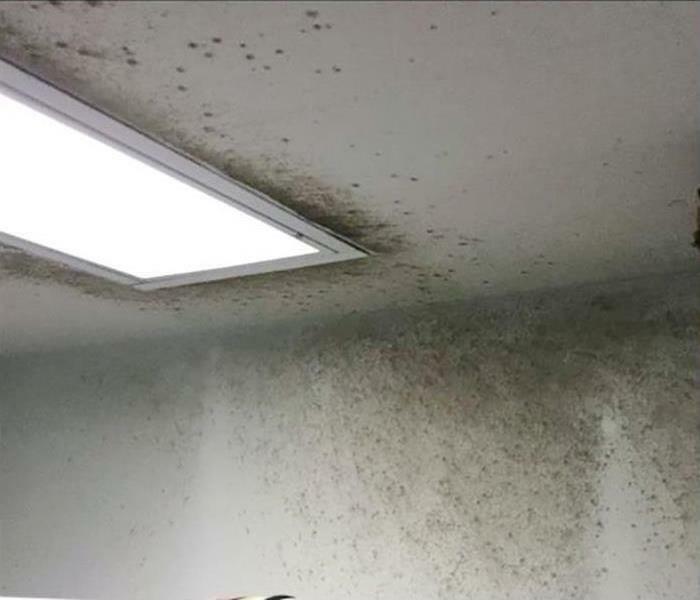 SERVPRO can remedy this issue and also advise the homeowner on measures that can be taken to reduce the chance of future mold infestations. The stormwater breached the exterior of this Amherst home and also damaged the wall as depicted in the photo. Cleanup, including water removal, can be executed by SERVPRO trained technicians. Call us for swift service. Commercial water damage struck this Northampton office building when there was a sewer backup. 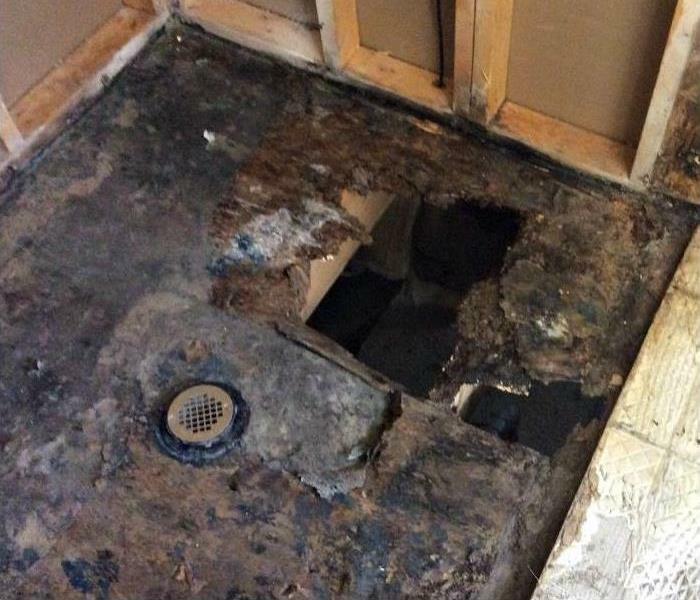 Sewer backups create unsanitary conditions which require precautions. When faced with this sort of dirty water damage our trained technicians build containment areas such as shown before cleaning up the water. The oily residue from this fire in Granby meant a careful wipe down of the coatings on all surfaces. Stains can be exacerbated when homeowners attempt to remove these marks on their own. SERVPRO has the skilled technicians to make "Like it never even happened." The straight line wind storm blew over this large tree onto the roof of an Amherst residence. We're Faster To Any Size Disaster and arrived on the scene, and secured the roof immediately with tarps to prevent further damages. Luckily, not water damaged occurred since there was no rainfall with this weather event. Count on us for urgent help. When it comes to mold damage, you need to act fast. Mold starts to grow and spread in about 48-72 hours. Our technicians understand mold and know how to eradicate the problem. 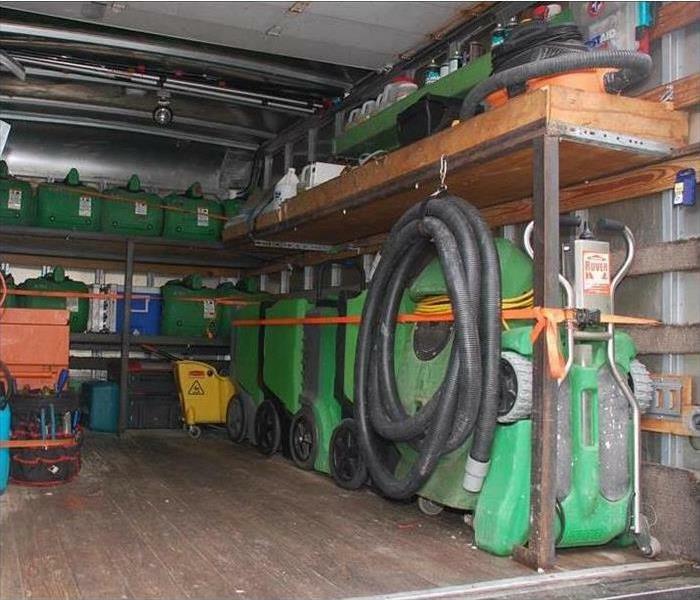 To help combat mold, our experts will use equipment like air scrubbers and HEPA vacuums. We have the expertise and training to make it “Like it never even happened." 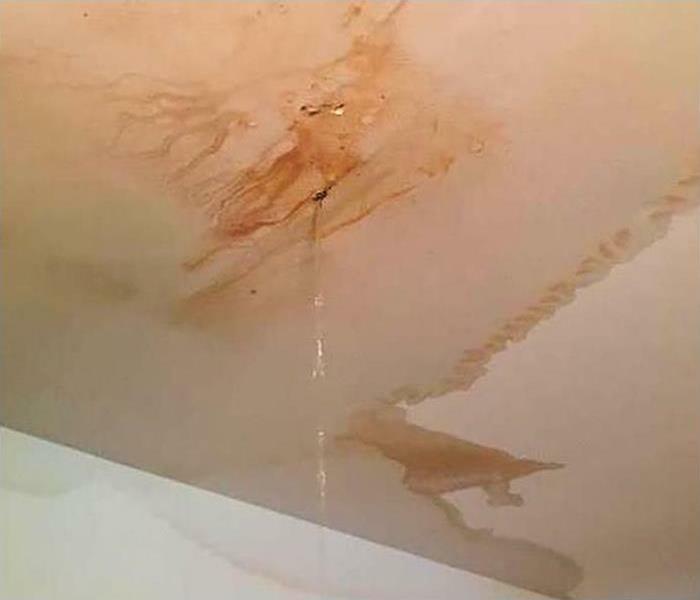 Water damage in Northampton cannot always be seen with the naked eye. 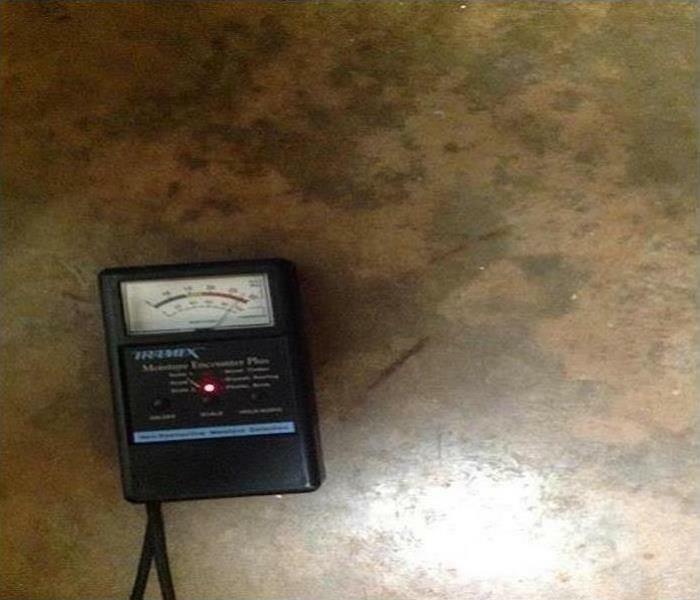 That is why SERVPRO of Hampshire County utilizes the latest technology in moisture detection devices to locate and measure the moisture content of various types of building materials. Storm damage at this Amherst office building deposited several inches of rainfall on the top floor of the building due to damage to the roof. We placed tarps on the damaged sections of the roof and arranged for repair of the roof. The photo shows one of the hallways being dried with industrial air moving equipment. Mold damage was discovered at his Amherst home when a bathroom tile came loose from the wall exposing the mold colony to view. 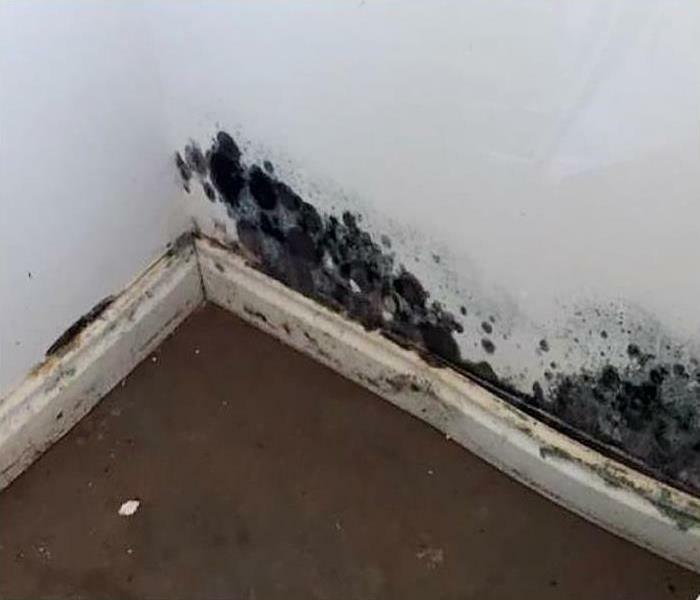 It doesn’t take very long for mold growth to get started when the conditions of moisture and darkness come together, so there is no way of knowing how long the mold had been growing. We employed the use of advanced moisture detection devices to reveal the scope of the possible mold growth before formulating a plan for remediation. 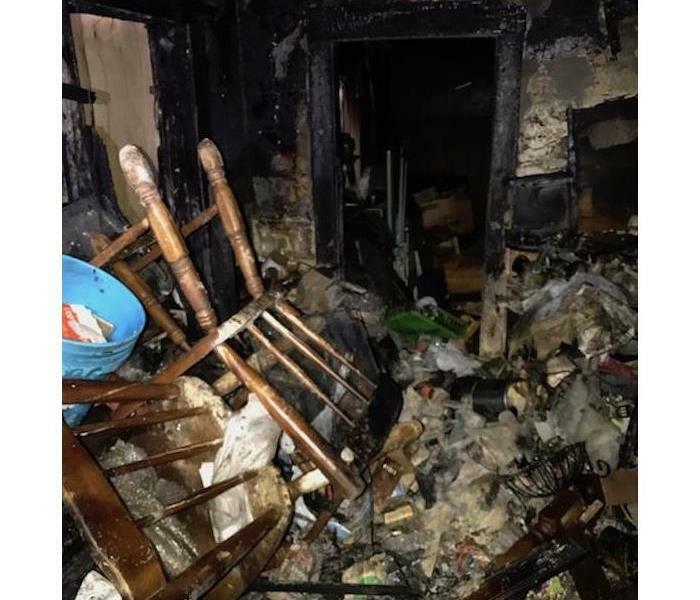 Our SERVPRO team was called in by the local Health Board Department to clean up a devastating fire in this hoarded home. As you can see, the fire and soot damage was extensive. Our technicians worked around the clock to clean up the mess and assessed a plan to restore what was still salvageable. Every fire damage scenario is a little different and demands a unique solution, but the general method stays the same. SERVPRO of Hampshire County is here whenever you need us. The storm water had been removed with the help of pumps. 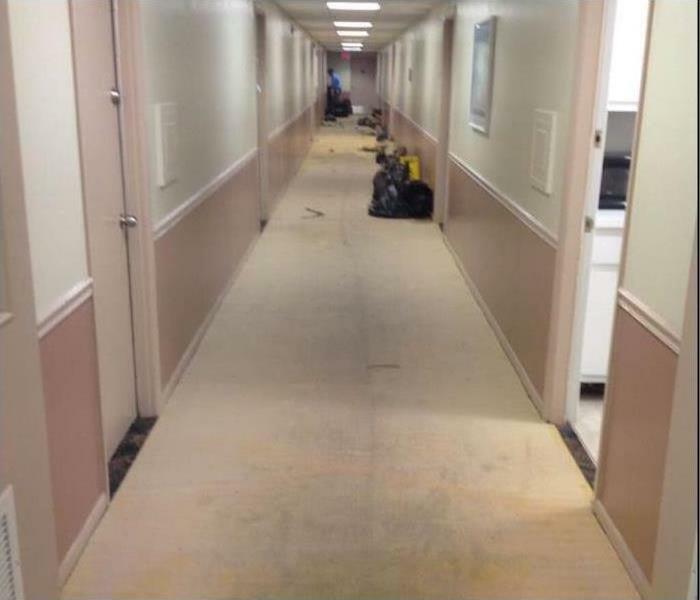 The floor of this Northampton commercial building is swiftly worked to remove the residual water vapor in the air. Our many pieces of equipment are circulating the air, and the LGR dehumidifiers are plucking out the moisture. 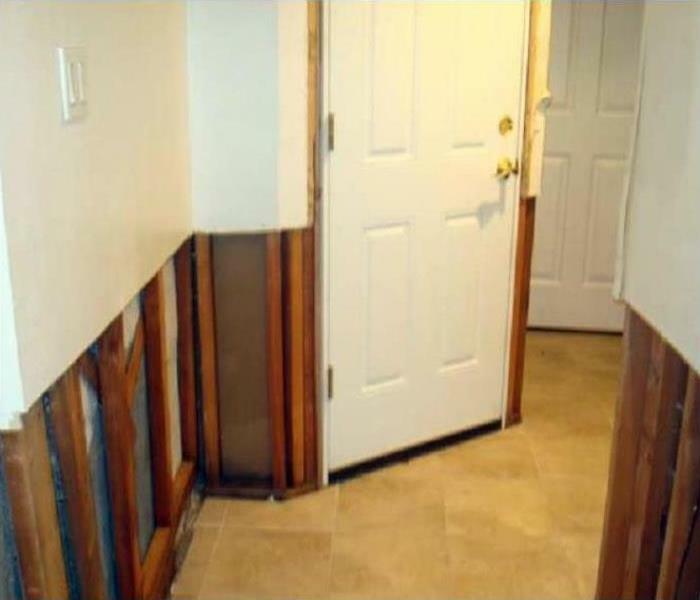 Water damage in Northampton requires quick action to minimize damages. That is why SERVPRO of Hampshire County has trucks loaded and ready to be dispatched on a moment's notice. Our crews and equipment are ready 24 hours a day, seven days a week to respond to your emergency. 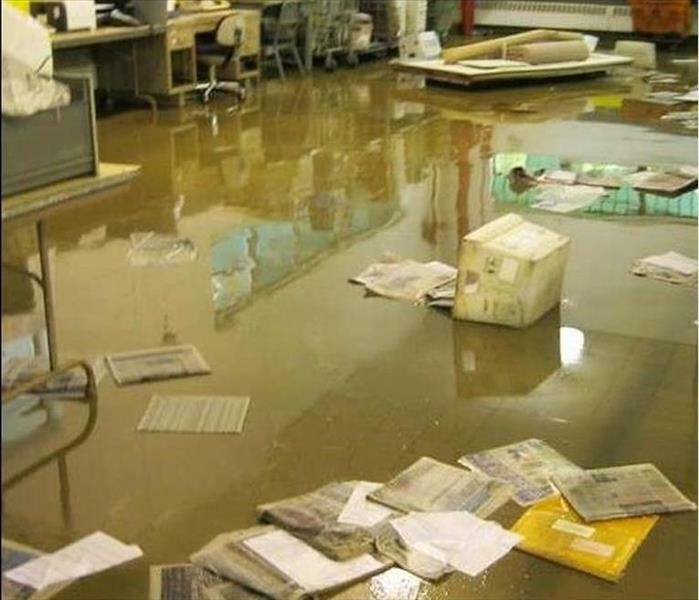 The mailroom in this office building suffered flooding from stormwater. The saturated items were collected and discarded before the water extraction could begin. The quicker the removal, the less chance of secondary water damage to the wood and metal furnishings. This is a picture of a living room ceiling in a Stockbridge, MA home. A pipe burst on the second floor bathroom and water was running for some time. The house flooded through the first floor down to the basement, causing serious damage. 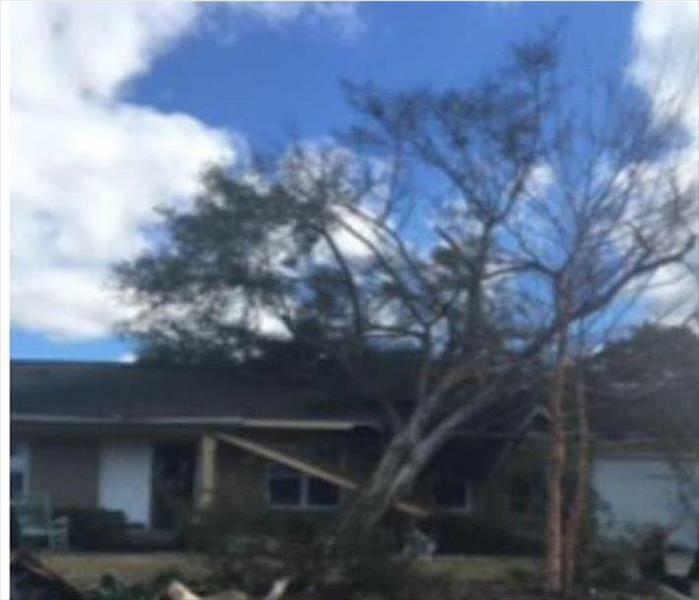 Ceilings, walls, furniture and hardwood floors were damaged. 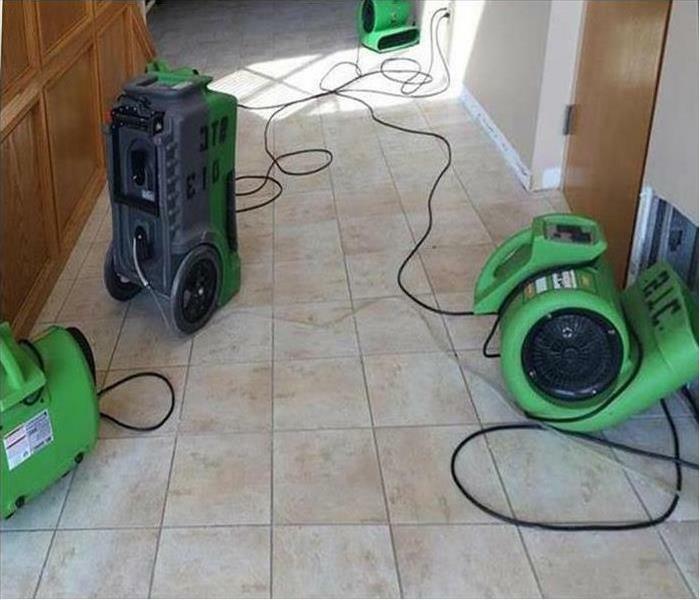 SERVPRO of Hampshire County technicians are trained to handle the worst water damage. If a pipe bursts in your Western MA home or business, call us right away at 413-589-8975. Do You Use Bleach To Clean Mold? Visible mold can be scary and intimidating to Western MA homeowners. In this picture of a foreclosed home in Springfield, MA, we see the impact of long term mold growth gone untreated. 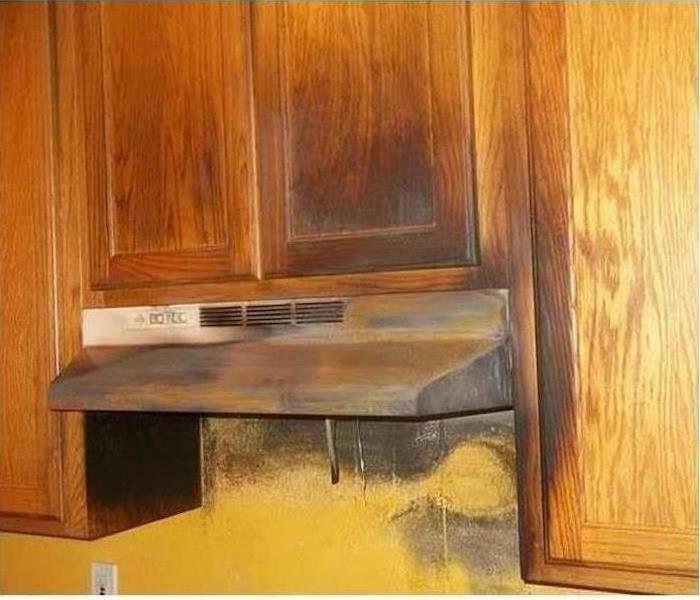 Did you know simply spraying bleach on visible mold can actually do more harm than good? Think of mold as a dandelion with millions of microscopic spores. Spraying mold alone may actually cause the spores to spread and contaminate other areas of the home. The mold you don't see (the roots) will remain intact and mold will continue to thrive. 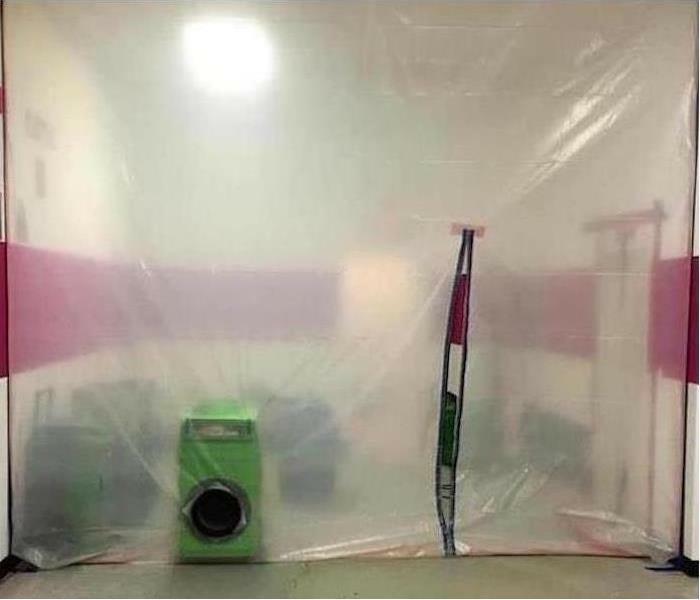 We are experts in mold remediation at SERVPRO of Hampshire County, with the experience and equipment to get the job done. Call us at 413-589-8975. Dirty, dingy, stained carpets can ruin a first impression. At SERVPRO of Hampshire County, we are cleaning specialists. Whether it's a fire, water damage, mold, air ducts, general cleaning or carpet cleaning, we've got it covered. In this picture, our trained technician uses hot water extraction to clean carpets in a Berkshire motel. With the use of our truck mount, our technicians get a deeper, longer lasting clean which is far more effective than a less powerful unit. 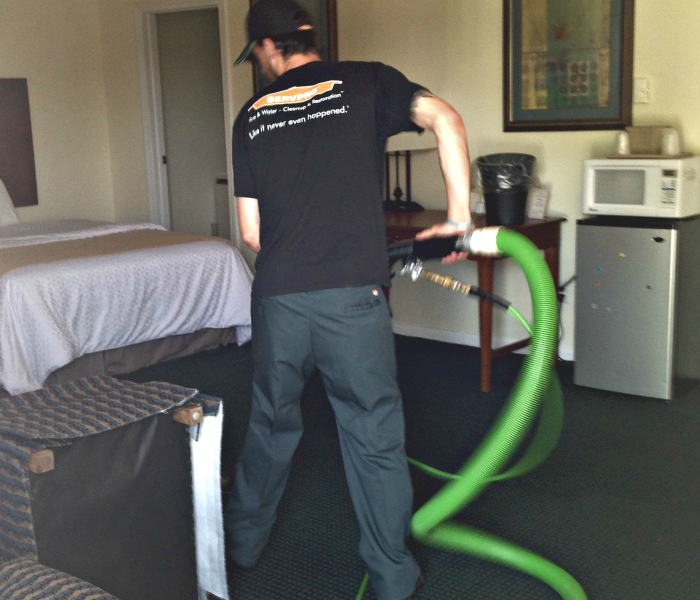 Many Western MA hotels and motels trust SERVPRO of Hampshire County to keep their guest rooms looking top notch. If you have a cleaning need - whether it be fire, water, mold, air duct, general or carpet cleaning, we are available 24/7/365! Just call 413-589-8975. This commercial job was one of the most unique requests our franchise has received. 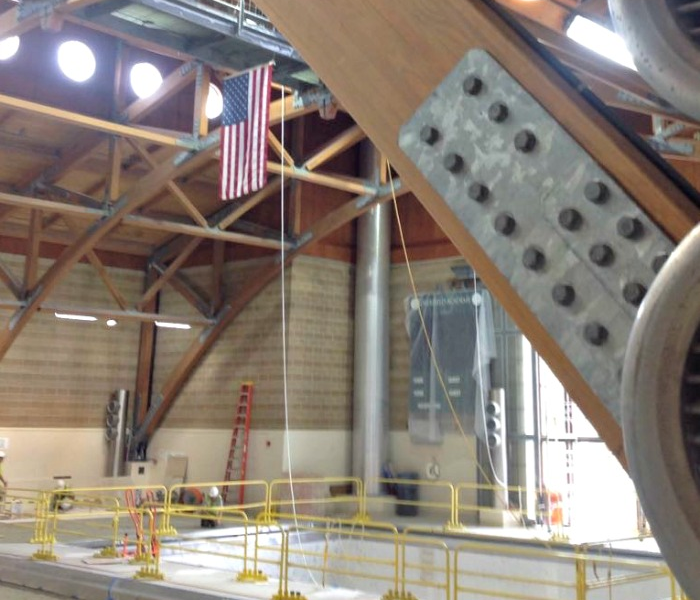 A school in Franklin County, MA wanted the ceiling and rafters above the pool cleaned. After some creative thinking, our technicians got the job done - safely and efficiently! If your school, business or home cleaning project requires a little creative thinking, give SERVPRO of Hampshire County a call at 413-589-8975. We're available 24/7/365. How hot do you think a house fire can get? 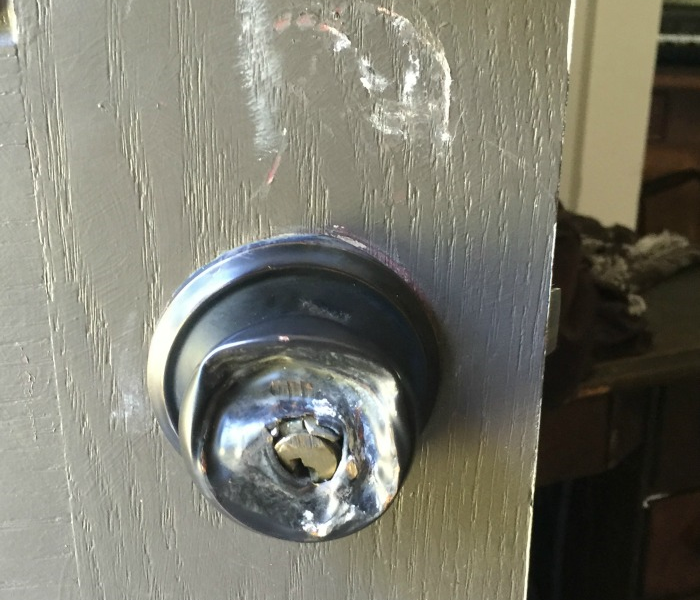 In this picture of a Greenfield, MA home, you can see that the fire actually melted this doorknob. According to Ready.gov, more than 2,500 people die and 12,600 are injured in home fires each year in the United States, with direct property loss due to home fires estimated at $7.3 billion annually. 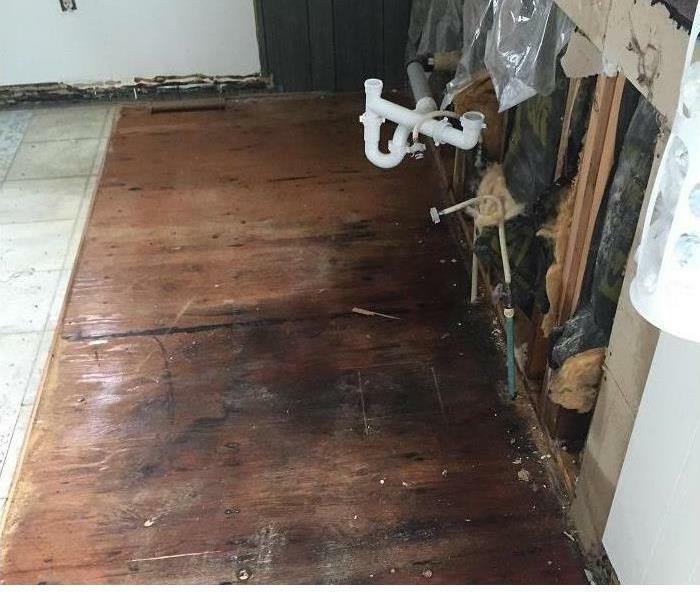 Fortunately for this family, they called SERVPRO of Hampshire County. Our restoration technicians were able to mitigate the damage and get the family back into their home. If you or someone you know experiences a fire in your Western MA home, call us at 413-589-8975. We'll make it "Like it never even happened." Over time, an undetected slow leak can do great damage. 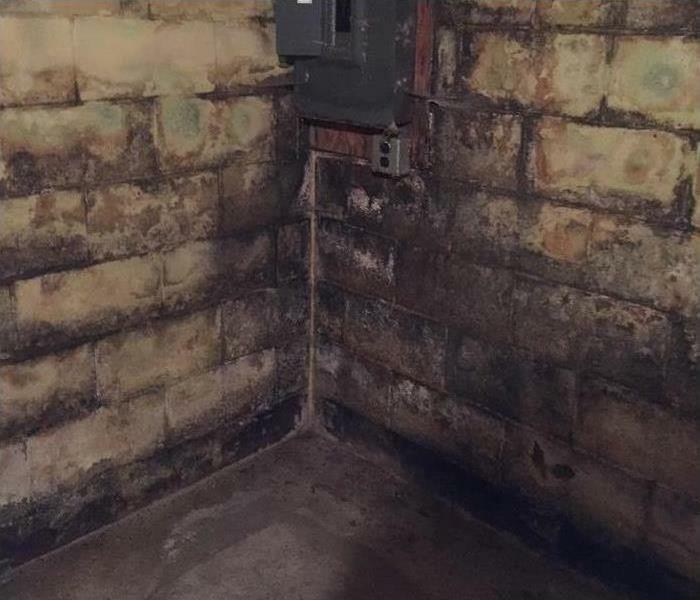 A homeowner called SERVPRO of Hampshire County when they discovered black mold in their Hadley, MA basement. Our technicians used their training and expertise to identify the source - a leak in the shower drain. 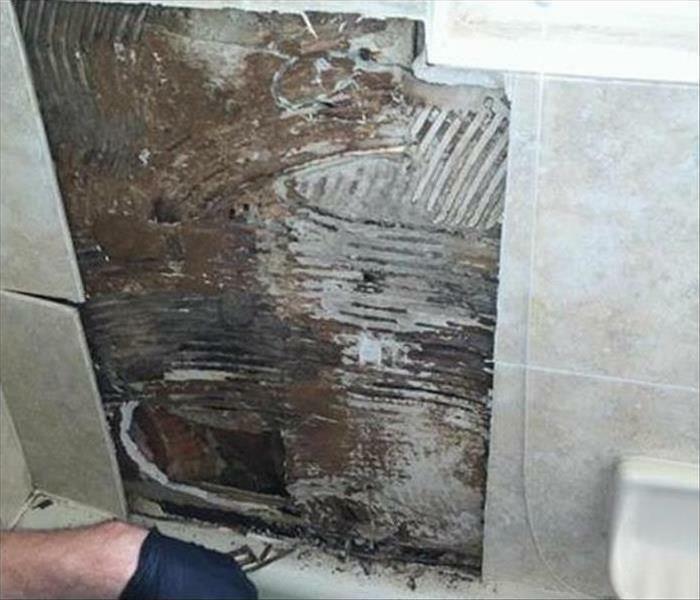 Removing the shower floor revealed a large amount of rot, shown in this picture. The family was relieved to find a solution for the problem. 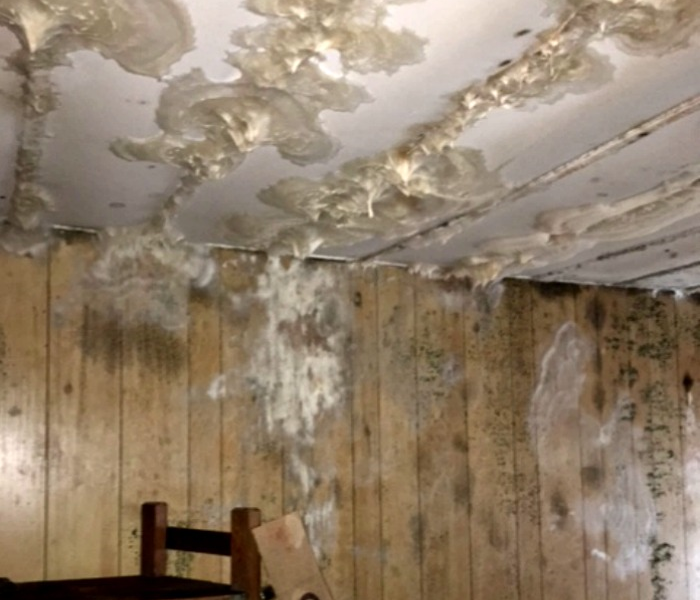 If you discover mold in your Western MA home or business, SERVPRO of Hampshire County can help source the cause of the damage and clean it up. 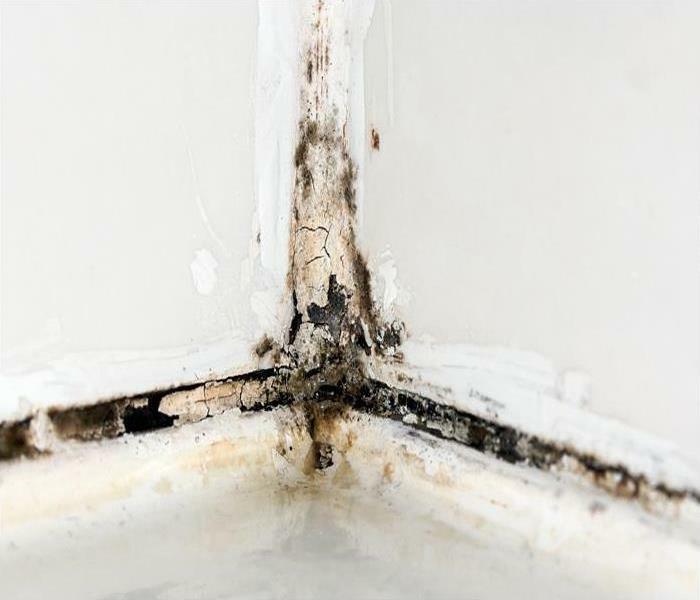 The longer mold and it's cause goes undetected, the worse (and more costly) the damage will be. Give us a call at 413-589-8975. 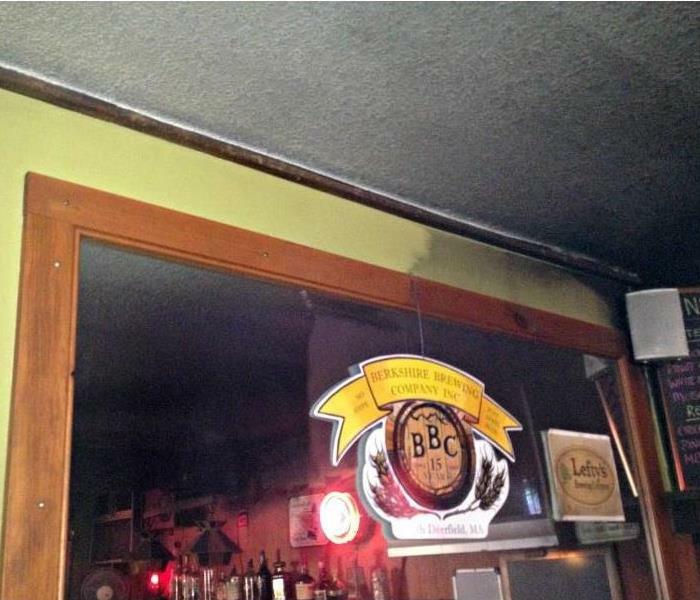 This restaurant experienced an extensive fire spreading soot throughout the property. In this picture, you can see the significant difference between the area to the left that was cleaned professionally and the area to the right still to be cleaned. SERVPRO of Hampshire County has the equipment and expertise to get the job done right the first time. Whether it's Amherst, Belchertown, Chicopee, Easthampton, Greenfield, Holyoke, Northampton, Ludlow or any other town in Western MA, SERVPRO of Hampshire County can make it "Like it never even happened." Call us at 413-589-8975. No, you're not seeing things. This family did not have a food fight, throwing whipped cream on the walls and ceilings. That is mold. The extent of this mold infestation underscores the importance of getting mold remediated quickly. 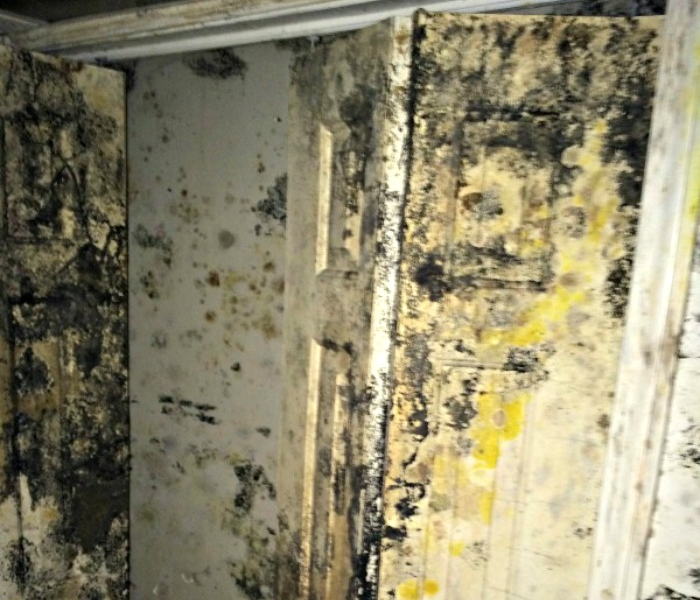 Left to it's own, mold can take over a home, making the cost of remediation much higher. In this situation, the home owner was away from the property when there was significant water damage which went undetected for over a month. If you've got a question about mold in your Western MA home or business, call SERVPRO of Hampshire County at 413-589-8975. SERVPRO of Hampshire County was called in to assist one of our commercial customers with a strong nicotine odor in their motel. Despite being a non-smoking room, the guest did not heed the policy. As such, the room could not be rented out until the odor was eliminated. Our technicians set up an ozone machine and the next day, the motel room was back to normal, "Like it never even happened." If you have a stubborn odor or any kind of cleaning issue, give SERVPRO of Hampshire County a call at 413-589-8975. SERVPRO of Hampshire County offers a variety of options for removing stubborn odors. In this picture, a customer experienced mouse droppings in their car that they couldn't remove. This is where having the right equipment and training make all the difference. Utilizing an ozone machine, our technicians were able to eliminate the odor. 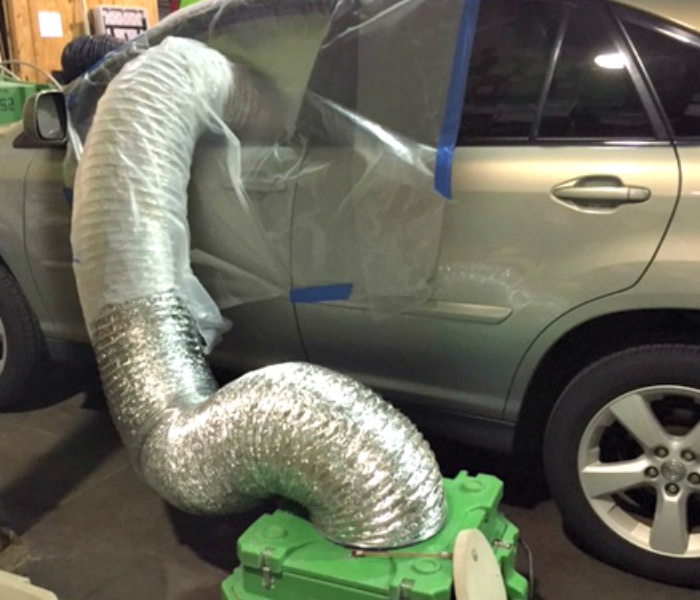 You can see an air mover in this photo that was used after the ozone treatment to restore the vehicle to its "pre-rodent" environment. Call SERVPRO of Hampshire County for all your indoor air quality and cleaning needs at 413-589-8975. Another after hours emergency water damage response by SERVPRO of Hampshire County. This 6000 square foot commercial water damage from a broken sprinkler pipe was extracted and set to dry in a matter of hours from the time of initial call. 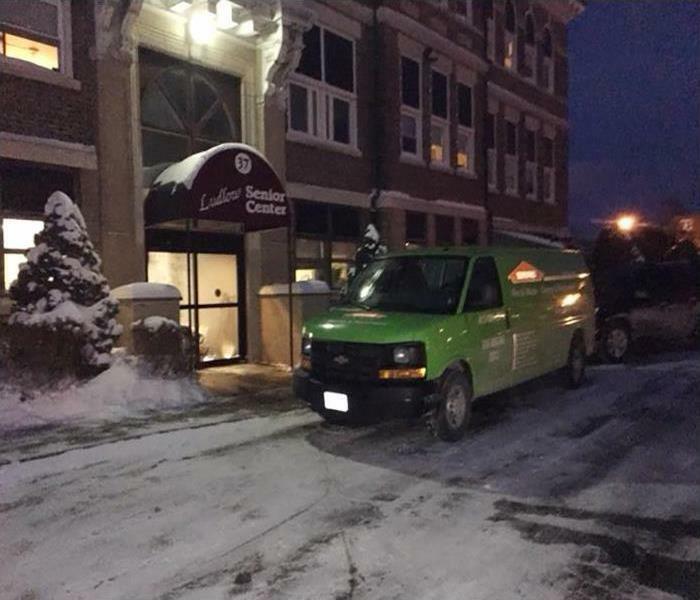 Like many Western Massachusetts Property Managers, our team was counted on after hours to assist a commercial tenant. We were called at 8 pm and worked until the early morning hours extracting and stabilizing the property. At SERVPRO of Hampshire County, we have the expertise and equipment to tackle your toughest odors. 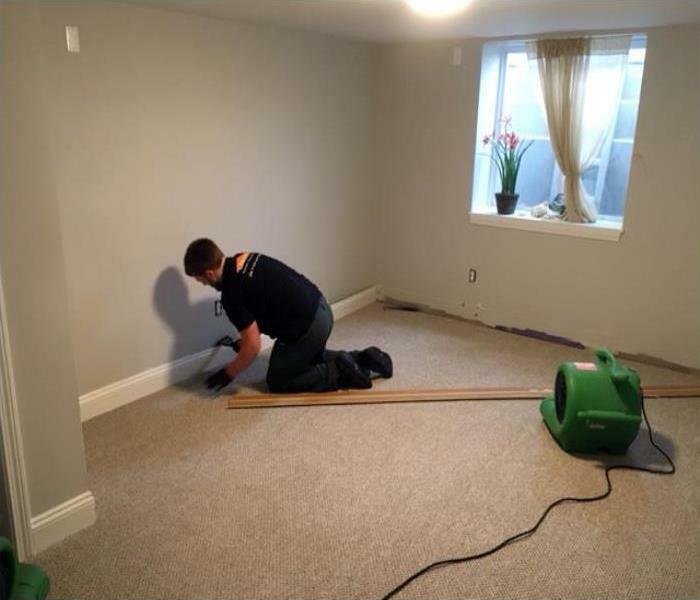 In this photo, our technician utilizes Thermal Fogging to deodorize nicotine odors in a Southampton, MA home. The thermal fogging process is fast and effective. Dry fogs penetrate quickly and deodorize rapidly because of the small particle size. Most of the fog evaporates within a few hours, taking the odor with it. If you've done everything and more trying to get rid of a stubborn odor, call us at 413-589-8975. 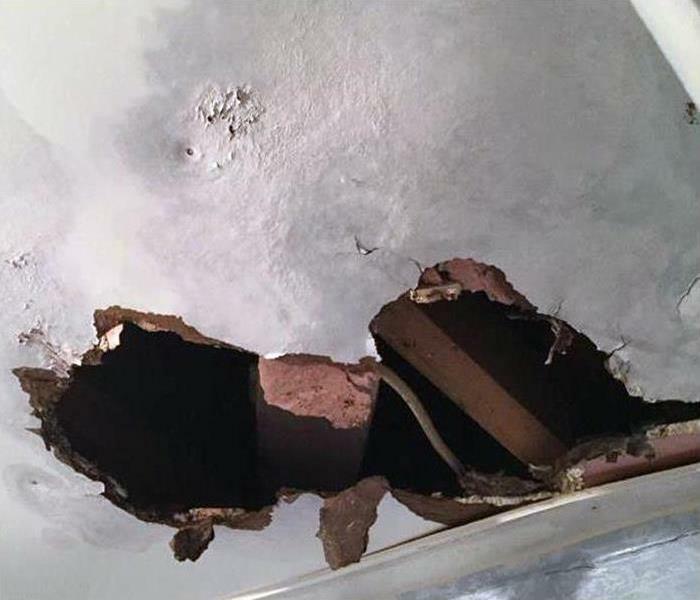 In a recent HVAC Duct Cleaning, one of our Western Massachusetts Residents was surprised to see that they had tenants living in their dryer vent. Dryer vent cleaning is an important add on to your household duct cleaning. This customer is now much safer from risk of fire and has a more efficient dryer system working for them. SERVPRO of Hampshire County has been cleaning ducts in the Northampton community for nearly 10 years. Heat and Air Conditioning Duct Cleaning and Dryer Vent Cleaning will help improve indoor air quality and your systems performance, as well as prevent a potential fire damage. When was the last time you cleaned your dryer ducts? 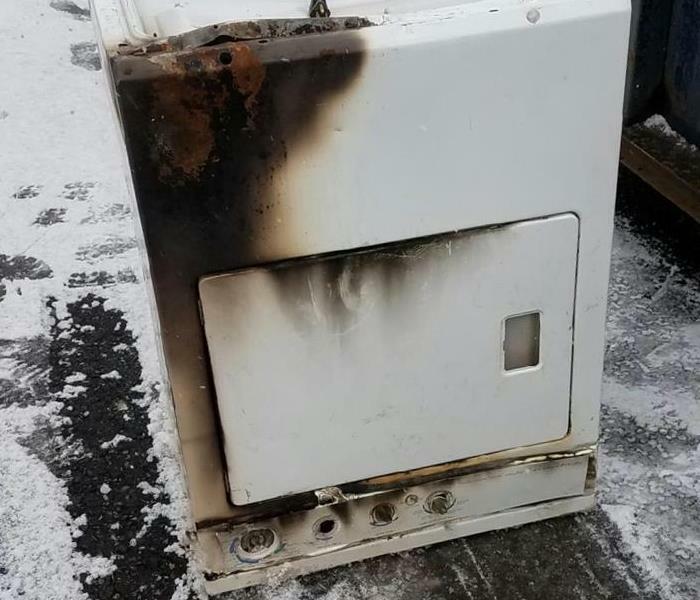 A recent fire for us at SERVPRO of Hampshire County was caused by a dryer. We often neglect this unseen potential hazard. A good duct cleaning including dryer vents will help prevent a disaster at your home or business. A local Educational Institution had a significant fire damage. We were onsite within an hour of the call assessing damage and beginning cleanup. In total, an entire floor with over thirty offices was affected by smoke/fire damage, displacing many educators. The goal, as with any commercial fire damage/water damage, was to get them back in their offices and functioning as quickly as possible. SERVPRO of Hampshire County responded in force and completed the majority of the work in one day, the highly affected areas took a few extra days. Educators/Administrators were back in their offices on Monday Morning, the fire took place on Thursday Morning. 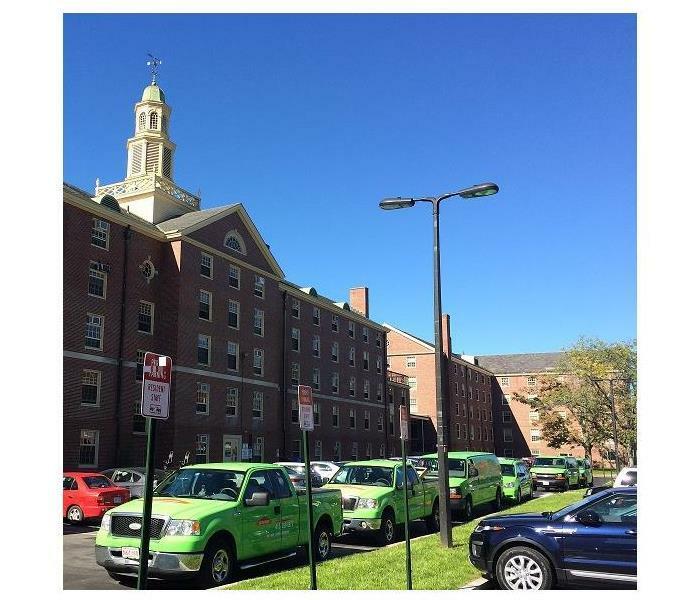 SERVPRO of Hampshire County has been serving Educational Facilities, Commercial Properties and Homeowners in the Amherst, Northampton, Hadley and South Hadley area for over 20 years with quick response and superior results. Faster to any size disaster has always been the mantra, a philosophy with which we continue to work.